It's all about options. Click on one of our many technology partners below for more information about our joint solutions. 3xLOGIC is a leading provider of intelligent video surveillance software and hardware that seamlessly integrates audio data, video data, and transactional data. This logical union is known as the VIGIL™ platform of video surveillance solutions. VIGIL employs the latest advances in video surveillance hardware powered by 3xLOGIC’s full-featured suite of VIGIL video management application modules. ACTi Corporation, founded in 2003, is an end-to-end IP video surveillance solution provider, covering all the way from security to business management solutions. The core value of ACTi is to deliver these solutions through in-house developed technologies applied to its whole product line. These products include IP cameras, video management software, video analytics and the latest cloud-based services that are seamlessly unified. These solutions are customized for all markets through the comprehensive support of pre- and post-sales service tools and utilities. Allegion (NYSE: ALLE) helps keep people safe where they live, work, and visit. Allegion is pioneering safety as a provider of security solutions for homes and businesses through 23 global brands. Open Options partners with Allegion to deliver quality, integrated solutions with Schlage AD-Series wireless locks, aptiQ secure cards and readers, and the Handkey II biometric reader. ASSA ABLOY is the global leader in door-opening solutions, dedicated to satisfying end-user demands for security, safety, and convenience. Open Options integrates with ASSA ABLOY's Intelligent Openings products which feature online, offline, hardwired, and stand-alone technologies. Axis offers innovative video surveillance and access control solutions, backed by quality educational and customer services. Axis provides a complete range of solutions for a broad spectrum of industry segments and applications. Whether you need a few cameras, or a few thousand, our solutions are easy to install and easy to adapt to changing needs. DMP is a family-owned manufacturer of electronic burglar, fire, and access products. Since 1975 we have designed, built, distributed, and supported these products from our headquarters in Springfield, Missouri. We sell directly to preferred alarm companies who are passionate about providing life-safety and peace-of-mind and are focused on recurring monthly revenue. Exacq designs and manufactures the true cross-platform (Windows/Linux) exacqVision Video Management System software used in exacqVision hybrid and IP camera servers and on commercial off-the-shelf servers. The free client software (Windows, Linux and Mac) connects to a virtually unlimited number of servers to create a complete, scalable enterprise class solution. Fargo Electronics, Inc., is the world leader in plastic card personalization systems, employing innovative technologies to develop customized solutions. Fargo manufactures and distributes ID card printers, encoders, secure photo cards, and smart cards. Farpointe’s products include the 125-kHz Pyramid Series Proximity® line of proximity readers and credentials, the 13.56-MHz Delta® contactless smartcard readers and credentials, and the 433-MHz Ranger® line of long-range receivers and transmitters. Farpointe’s exacting RFID designs, superior manufacturing, competitive pricing, and excellent performance have earned the trust of the company’s partners — access control system manufacturers around the world — making Farpointe Data an industry-leading provider of readers and credentials. HID Corporation is the largest manufacturer of contactless access control readers and cards for the security industry. Open Options partners with HID to bring smartcard, proximity, and Wiegand technology solutions to our customers. "Augmented Identity is security that you benefit from every minute of every day without even seeing it, without even knowing it’s there. Security that protects us and allows us to enjoy life to the full and with even greater peace of mind"
Founded in 1999, ISONAS is the first access control company to design and manufacture a cutting-edge, IP-to-the-door solution that eliminates needless complexity—including inconvenient control panels, separate power supply, and dedicated hard-wiring. Our network-based PowerNet™ reader-controllers offer a patented technology that easily integrates with Windows-based software to deliver more simplicity, greater value, and total flexibility to go places you never thought possible. With 50,000+ readers already installed worldwide across a range of commercial and private organizations, ISONAS provides a proven solution that is revolutionizing the industry. 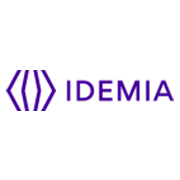 Based in Boulder, Colorado, our company is privately held. LifeSafety Power is the leader in Smarter Power Solutions and remote monitoring capabilities, providing modular AC, DC, and PoE systems to meet the growing needs of the lifesafety industry. FlexPower is LifeSafety Power's award winning product family that sets a new standard of performance for lifesafety power systems. FlexPower uses a unique modular design that allows for many system configurations such as single, dual or multi voltage outputs and power distribution, control, or signaling, fire alarm interface with failsafe, failsecure lock control, plus network communication, all of which are standard in one advanced multi-listed system platform. Magicard provides identity management, credentialing and issuance solutions. Headquartered in the UK at our certified manufacturing and development facility, Magicard has operations across the globe. Magicard products are trusted by thousands of organisations and governments throughout the world to issue millions of secure identity credentials every year. March Networks® is a leading provider of intelligent IP video solutions used by some of the world’s largest organizations for security, loss prevention and operational efficiency. Its intuitive Command video management software enables rapid deployment and complete system control. It is complemented by a comprehensive portfolio of HD IP cameras, encoders, analytics, hybrid recorders and outstanding managed services. Mercury Security is the industry leader in the delivery of today’s most reliable, innovative, and proven access control hardware that flexibly meets the demands of facility security applications around the world. With more than one million control panels in operation, Mercury is the supplier of choice, providing security system manufacturers, distributors, and suppliers with access control hardware and components that interface with the most demanding installations. 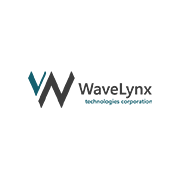 Milestone Systems develops advanced open platform software for controlling true IP network-based video surveillance. The Milestone XProtect® product line enables automated management of video surveillance cameras and digital image archiving for greatly improved security, quality assurance, and cost effectiveness. 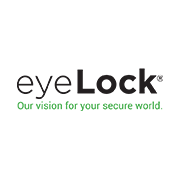 Open Options has teamed up with Milestone Systems to offer a complete access solution and is an authorized distributer and trainer of Milestone System Products. As a leading provider of critical application system redundancy solutions and other Information and Communications Technology (ICT) offerings with more than 117 years of expertise, NEC has leveraged its adaptive solutions to enable individuals and enterprises across a wide spectrum of industries to achieve more flexible, secure and responsive organizations. 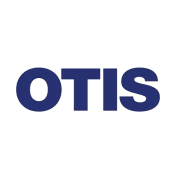 Otis is the world's largest manufacturer and maintainer of people-moving products, including elevators, escalators and moving walkways. Founded more than 160 years ago by the inventor of the safety elevator, Otis offers products and services through its companies in more than 200 countries and territories, and maintains approximately 1.9 million elevators and escalators worldwide. Otis is a unit of United Technologies Corp., a leading provider to the aerospace and building systems industries worldwide. 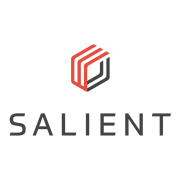 Salient Systems CompleteView™ is the premiere application software for IP and analog video management. As an industry leader in open standards for digital video surveillance, Salient’s advanced software suite provides enterprise-level video management which is scalable and easily adapts to evolving business needs. With CompleteView™ enabling your enterprise, you can monitor, maintain, and manage cameras, servers, and users from anywhere, at any point, at any time. STENTOFON is widely recognized as the leading brand for integrated security intercom communication systems. STENTOFON has earned a reputation for having the most flexible, reliable, and superior quality hands-free communication system today. Open Options integrates with the Stentofon AlphaCom and IP Critical Communications Products. STOPware, inc. has led the development and implementation of visitor management solutions since 1997. Its flagship product, PassagePoint® is designed to meet the diverse needs of a wide range of customers, resellers, integrators and consultants. Combining vast experience in visitor requirements, security, customer service, management requirements, IT standards and user experience, PassagePoint is the benchmark for visitor management solutions. 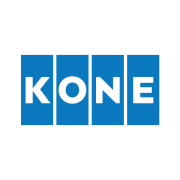 In addition, STOPware offers a wide range of hardware solutions including kiosks and tablets, badge printers and supplies, installation and training services, technical support and custom engineered products and services. BioConnect is on a Quest – for Rightful Identity. Why? To empower people to use their unique biometric credentials (their Rightful Identity) in their everyday lives – delivering greater security, assurance and convenience along the way. 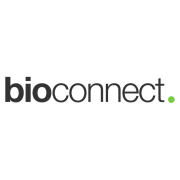 BioConnect revolutionized the physical access control market with its industry-first identity platform that enables the integration of biometric technology with the industry’s leading access control solutions. As a partner of the global leader in security and biometrics, BioConnect also supports the implementation of its top-rated biometric hardware devices (finger, face, card and PIN) in Canada, US, UK, Ireland and Puerto Rico. BioConnect’s support, training and consulting resources will ensure you have the skills to implement a successful biometric solution. Founded in 2005 and headquartered in San Diego, California, Telaeris is the worldwide leader for emergency mustering systems and handheld badge reading solutions for security and safety. Our XPressEntry system is built to provide extended physical access control features from a mobile handheld badge scanner, with the capability to read any badge credential. Our handheld and RFID enabled systems have been used by many Fortune 500 companies for such diverse purposes as emergency mustering, mobile entry/exit tracking, bus employee authentication, event and meeting management, time and attendance, visitor management, real time location tracking, and confined space occupancy tracking. 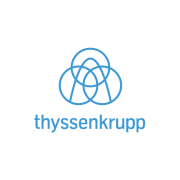 In 40 short years, we’ve become one of the world’s leading elevator companies with unique engineering capabilities. When done well, urban mobility drives down congestion, pollution, stress and energy consumption. Our innovative, efficient and reliable passenger transportation systems are key to getting it right in cities. Whether building a new state-of-the-art system or modernizing an existing one, our products deliver crucial energy and time efficiencies. Verint® Systems Inc. (NASDAQ:VRNT) is a global leader in Actionable Intelligence® solutions for customer engagement optimization, security intelligence, and fraud, risk and compliance. Today, more than 10,000 organizations in over 180 countries use Verint solutions to improve enterprise performance and make the world a safer place. The WaveLynx founders have a long history of developing state-of-the-art credential and reader solutions for the Commercial Electronic Access Control Market, having designed multiple generations of product dating back to the advent of contactless smart cards in North America.